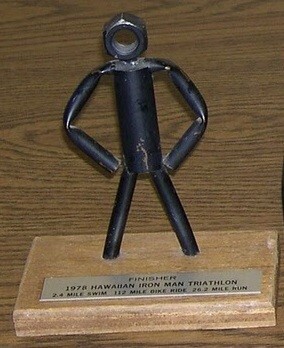 Origins of Ironman | theraceforthecafe.com . 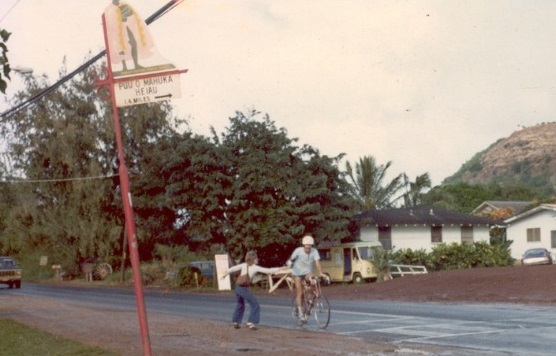 This week a quick look back at the origins of the Ironman triathlon before my next blog which will be a conversation with Ironman triathlete Craig Stevenson who (apart from being a really nice guy) just happens to be a sports physiologist, biomechanist and an expert coach. 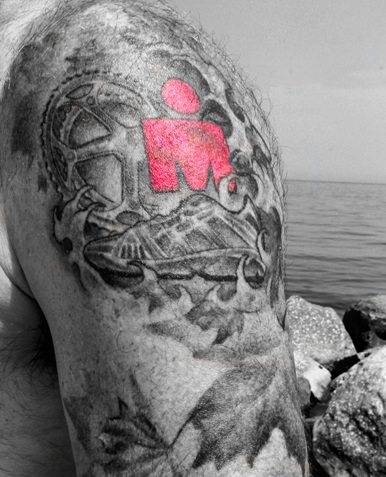 The M Dot (above) is the symbol and trade mark of the Ironman triathlon taken from the Ironman Corporation logo, a dot on top of a letter M. The dot is intended to represent the head of an athlete and the M the body, signifying the need to have physical fitness and psychological strength in order to complete the event. Although the first Ironman triathlon took place in Hawai in 1978, the sport of triathlon first emerged in 1974 with the running of what was to become an annual event at Mission Bay in San Diego, California - where else? 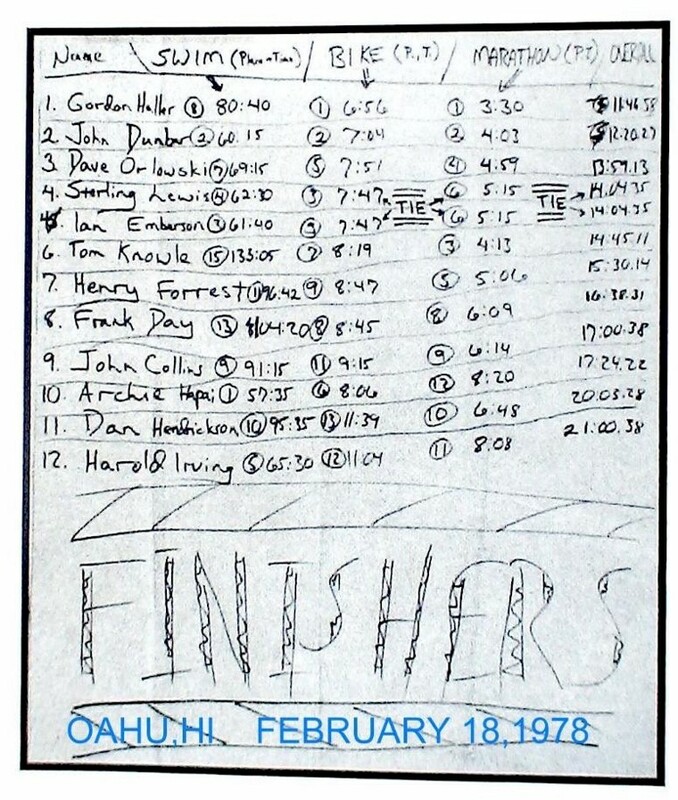 The first event was held on the 25th September 1974 and consisted of a 500 yard swim a 6 mile bike and a 6 mile run. There were 46 participants in the first event included a couple called John and Judy Collins along with their son Michael. 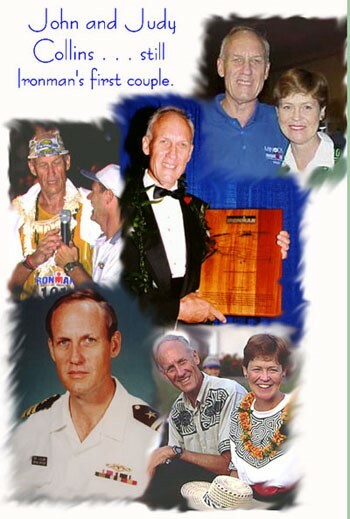 Four years later US navy Commander Collins then stationed in Hawaii came up with the idea and format for the most famous race in triathlon, the event that would eventually develop in to the Ironman World Championships. Collins devised the event to settle the argument at the Wakiki Swim Club awards evening as to who were the fittest athletes swimmers, cyclists or runners. The courses for three existing events were combined: the 2.4 mile Wakiki open water swim, the 112 mile Oahu around the island bike race and the Honolulu marathon. At that time nobody was even sure if anyone was capable of racing over such distances and the event was seen at the time as being at the limit of human endurance. Kudos to Harold Irving for getting round, a decent swimmer but lets not talk about his cycling and running - that must have been one long day out! Fifteen athletes entered the first event but only twelve managed to finish. The result came down to a battle on the run between John Dunbar a former US navy seal and another navy man Gordon Haller. Dunbar led for most of the race, but he became dehydrated during the run and as his support crew had run out of water they decided it would be a good idea to give him beer instead (competitors at the first event were required to have their own support crews and supply their own nutrition and hydration). Within minutes Dunbar became drunk and delirious and began stumbling in to parked cars. Gordon Haller took the opportunity to take the lead and he pulled away from Dunbar twenty one miles in to the run and went on to take the win, covering the last five miles in a remarkable thirty one minutes. In the 1978 inagural Ironman winner Gordon Haller completed the race distance in 11.46.58 posting a 1 hour 20 min swim, 6 hours 56 minutes for the 112 mile bike and a pretty respectable 3 hours 30 minutes for the 26.2 mile run. Event founder John Collins managed a time of 17 hours 24 minutes to finish in 9th place - a time which today would not be counted as a 'finish' as 17 hours is now the maximum time allowed. 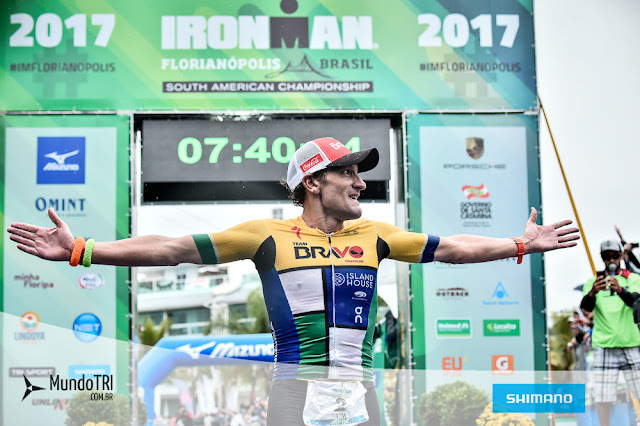 Just to put Gordon Hallers splits in the context of a recent performance in May of this year British triathlete Tim Don set a new record time for an Ironman branded event of 7 hour 40 minutes and 24 seconds at Ironman South America in Florianopolis, Brazil. The former olympic distance competitor completed the 2.4 mile swim in 44 minutes the 112 mile bike in an incredible 4.06.56 and finished the race with a 2.44.46 in the marathon. Clearly improvements in equipment, nutrition and technology have all played a part in the trend for ever faster times at Ironman (and in other endurance events) but so too have improved training techniques. In my next blog there will be some insights in to what it takes to be quick at Ironman from current competitive triathlete and coach Craig Stevenson.